In this presentation, participants will learn about integrative and functional nutrition (IFN) and how it can be used with populations at risk for, recovering from or engaging in disordered eating behaviors. IFN focuses on uncovering root causes of symptom(s) or disease(s), whereas conventional medical approaches and MNT focus on simply providing a solution to the problem without searching for a root cause. Many IFN practices are rooted in diet culture, however, in this presentation, integrative nutrition strategies will be described through a weight-inclusive, non-diet framework. Real case examples from clinical practice will be provided for optimal learning outcomes. Learn about “root causes” of symptoms and disease states. Know how to thoroughly assess clients for disordered eating and body image issues that may play into symptoms or recommended treatments. Understand non-diet integrative and functional nutrition approaches for treating insulin resistance/diabetes, elevated cholesterol and thyroid disorders, and digestive disturbances (IBS, GERD, SIBO). 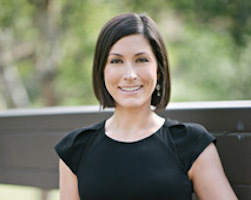 Janice Dada, MPH, RDN, CDE is the owner and principal dietitian of SoCal Nutrition & Wellness, a nutrition counseling and consulting practice based in Newport Beach, CA. In her private practice, Janice specializes in helping individuals and families optimize their health, well-being, and eating behaviors. As a Certified Intuitive Eating Counselor, Janice offers personalized nutrition counseling and group workshops using a non-diet, weight-inclusive, Health at Every Size (HAES®) framework. Additionally, Janice has trained with the Integrative and Functional Nutrition Academy (IFNA), and weaves integrative and functional nutrition into her non-diet work. Her experience in the nutrition field extends from individual counseling across a wide range of ages, body sizes, cultures, and abilities to leading small and large group workshops to teaching undergraduate and graduate-level nutrition classes. She is frequently asked to consult with organizations, sports teams, and private groups and has even served as an expert witness. Additionally, Janice is an adjunct faculty member at the UC Irvine. She has also held faculty positions at Chapman University, CSULB, CSUF, and Fullerton College. Furthermore, Janice is a freelance writer. Her writing is frequently featured in Today’s Dietitian magazine. Janice was honored by the California Academy of Nutrition and Dietetics (formerly California Dietetic Association) for her accomplishments with the award of “Recognized Young Dietitian of the Year” in 2011.